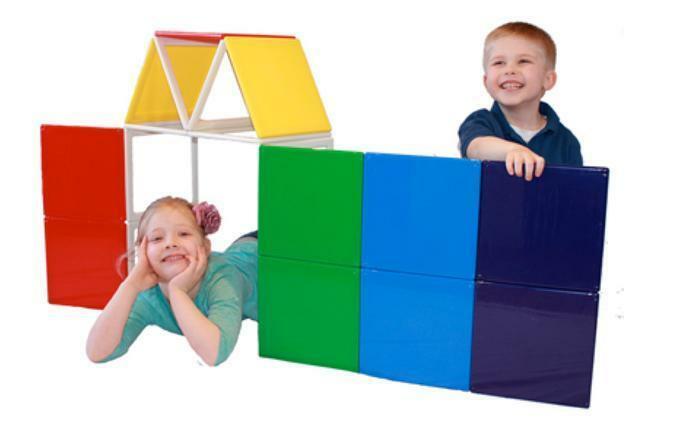 The solid builder set includes 19 pieces: 11 solid panels in red, yellow, green, blue and purple and 8 white windows that measure 9 inches by 9 inches. The rainbow dream builder set includes 19 windows in red, yellow, green, blue and purple colors that measure 9 inches by 9 inches. The building sets, manufactured in China, were sold at Discount School Supply, Kaplan Early Learning Company, Panelcraft and Tout About Toys from November 2016, through January 2017, for between $120 and $150. Consumers may contact Panelcraft toll-free at 888-288-7615 from 8 a.m. to 5 p.m. (ET) Monday through Friday or online at www.panelcraft.com and click on Contact Us for more information.